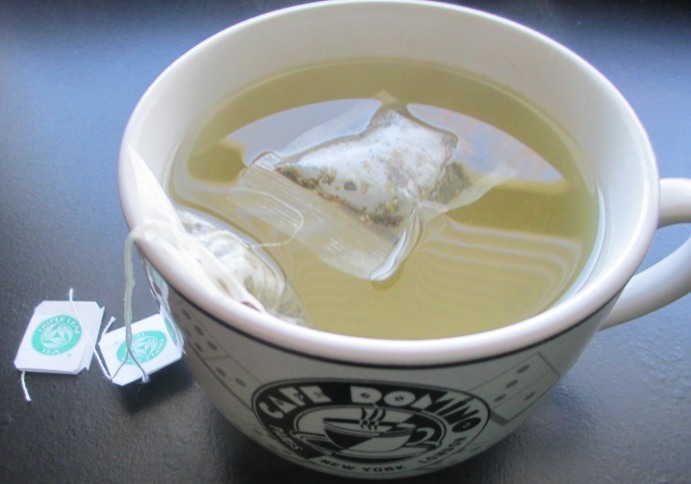 Heart Healthy Benefits of Drinking Your Heart’s Favorite Drink: Green Tea! The health benefits of green tea are legendary. I could, I’m certain, write a 6,000 word essay on the powers of green tea and still not cover half of the information. Since I have a lunch date with my family in a few hours, I won’t launch into that right now. I know one thing, though, as usual, I’ll be ordering tea to drink. Green tea isn’t just one of the smartest drinks anyone can choose, it might just be THE smartest one an individual at risk for heart disease could choose. Given the sobering fact that, each year, roughly 1.5 million Americans have a heart attack, it makes sense to do absolutely everything to make sure we don’t fall within this number. When lowering our risk is as simple as choosing the right drink to pour into our glass, it’d be ridiculous not to jump on board. Just like chocolate, tea is a form of plant food – and plants contain a plethora of phytochemicals that, when stacked together, will maximize the strength of your daily heart disease defense system. No doubt about it, a few daily cups of tea, and especially green tea, can provide cardiovascular protection via antioxidant and anti-inflammatory mechanisms. There are three main varieties of tea – black, oolong, and green – and all are derived from the tea plant known as Camellia sinensis (Countless herbal infusions are informally referred to as “tea,” but these are unrelated to real tea produced from Camellia sinensis). Teas are classified based on how the leaves are processed, with the leaves of green tea being the least processed of the three varieties. Green tea is dried but not fermented; hence it retains the greatest amount of polyphenols. Did you know that research shows that drinking tea may reduce the risk of death following a heart attack. A study showed that people who drank two or more cups a day had a 44 percent lower death rate following their heart attacks than did non-tea drinkers. You can read my Prevent a Second Heart Attack Review by clicking the link. The article includes GREAT advice on heart health whether you’re looking to prevent a first or second heart attack! The author also answers some questions about heart health and heart attack prevention. See Also: I’m not just a tea drinker or a tea lover… I’m actually a Crazy Tea Chick. Click the link for my tea blog! Tea, wonderful, healthy, delicious tea! For a couple of years now, I’ve been reading everything I could get my hands on about tea. I’ve also been drinking every variety and flavor of tea I could get my lips on. Both pursuits are serving me nicely. 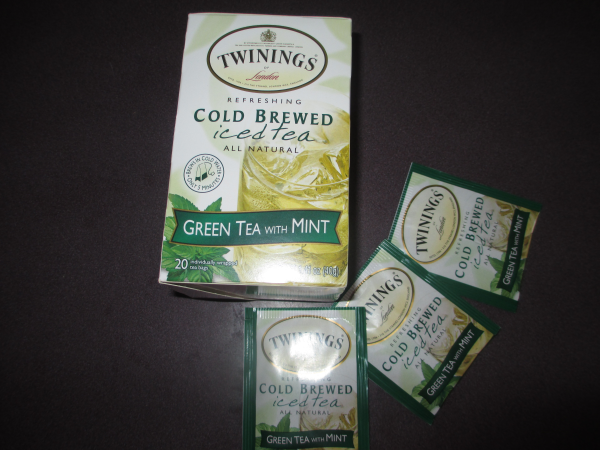 Fortunately, the varieties of tea are nearly endless, so it’s never hard to find a new flavor to try out…. though, admittedly, I keep returning to good old Southern Iced Tea, Chai Tea Lattes, Green Tea and White Pear Tea. My favorite way to make tea at home is by the pot, using our coffee maker. I put the bags into the carafe, then allow the hot water to flow down over them – creating a whole pot. After it has set for a few minutes, I remove the bags. If it’s Green tea, I add sugar, honey and lemon. If it’s black tea, I let my Southern Girl take charge and I sweeten the heck out of it. I’ve also become a huge fan of Matcha Green Tea. It’s very special. In addition to just being darned good, there’s another reason to drink tea – for your Health. The healing properties of tea are so potent, it’s like having a nutritional supplement in each cup. Both green and black teas have strong antioxidants, and appear to help prevent a variety of diseases and conditions, including heart disease, cancer, ulcers, inflammatory diseases, and even gum disease and cavities. Green tea has also been proven to aid weight loss. That alone is making it a lot of friends! Rooibos (red) tea is also high in antioxidants and may reduce the risk of cancer. Yerba maté, (an herbal tea from South America) is rich in polyphenols and has antioxidant properties comparable to green tea. Chai tea, something I can’t go a day without, contains herbs and spices that are used traditionally to soothe gastric distress and warm the body. If you compliment your tea with a rolled-up stick of cinnamon bark while it’s steeping, you give yourself a bonus shot of healing properties. Cinnamon has antibacterial, anti-fungal and antiviral properties, which make it a perfect companion for bolstering immunity. My favorite way to enjoy Chai tea is to make a strong cup and add either steamed milk or half and half (along with a little sugar or Stevia). Then I sprinkle either a little cinnamon or nutmeg on top. Tazo also makes wonderful cartons of ready-to-heat Chai Tea Lattes that taste like the ones you get from Starbucks. They even make a chocolate one (swoon). Add a little whipped topping and cinnamon on top if you’re feeling especially fancy. Guess who’s now dying for a cup? I’ve had asthma all of my life. My mom was told, when I was VERY young to give me coffee when I had asthma “attacks” or as soon as I felt one coming on. She’d sweeten each cup up and add plenty of milk – I became a coffee addict at a very young age! The doctor was onto something, however. Coffee opened up my airways like nothing else could. I’ve spent my entire life drinking coffee – especially whenever I’ve had trouble breathing. About 10 years ago, I was beginning to feel an asthma attack coming on, but I happened to be craving a Chai Tea Latte (like I am now! ), so I grabbed one at Starbucks – figuring that it might help me as much as coffee. Well, it didn’t. It was faster! Chai Tea Lattes have been my “go to” asthma remedy ever since. They do the job. taste incredible, and I can enjoy one at any time of day without fear of staying awake for hours. Chai Tea warms you up inside/out. 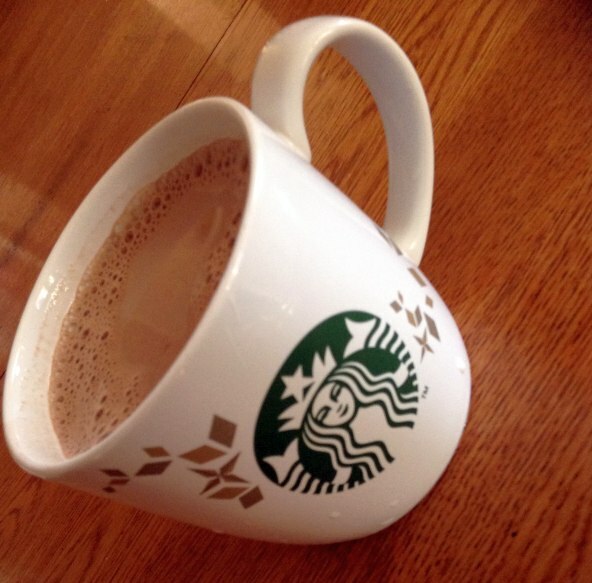 On winter days, drinking a cup of Chai Tea or enjoying a Chai Tea Latte will warm you up from the inside. It feels like you put a sweater on your skeletal system! Anyone who has to spend a good deal of time out in the cold would do well to fill their thermos with Chai Tea instead of coffee, soup, or hot chocolate. It’s just as delicious and it’ll turn your thermostat up to a nice toasty level. In addition to the teas above, there are a lot of herbal brewed teas that are also juiced up with healing properties. Colds, Flu and Allergies: Licorice root helps treat throat irritation; Elderberry relieves common discomforts associated with the flu; Hyssop heals congestion, coughs and hoarseness; Stinging Nettle is used for hay fever and other allergies. Detoxification: Oregon grape root, Yellow Dock Root and Boldo each support liver function which aides the elimination of toxins. Lack of Energy: Ginseng, Ginger and Peppermint are awesome energizers. Peppermint tea is incredibly good – especially with butter cookies or pound cake. Headache: Rosemary is said to relieve headaches. Ginger and Peppermint teas are also said to be good for headaches. I can’t say that I’ve ever tried any for this ailment, I always run to my Tylenol bottle. Memory Loss: Rosemary is also believed to improve your memory. Indigestion: Peppermint and Fennel are said to improve and stimulate digestion, and a lot of people swear by Ginger for helping with motion sickness as well as morning sickness. I remember morning sickness all too well, however, and the thought of even smelling ginger would have been an invitation to the paper sack. The thing that always helped me, actually, was just regular tea – at room temp. Insomnia: Valerian, Hops, Passionflower and Skullcap are each believed to help promote sleep. PMS: Try Fennel Seed, Black Horehound, Cardamom and Caraway Seeds, Lemon Balm and Chamomile to help calm the beast known as PMS. I’m seeing a lot of products on the market for different hormonal maladies that contain Black Horehound – there must be something to it. Stress: Chamomile, Lemon Balm and Catnip are said to have very calming effects. Catnip is even reported to be really close to being a sedative. There’s a bit of irony, given the fact that it jacks my cats up to other worlds.